I couldn’t just leave Tuesday’s post without doing the same thing for the distance events. 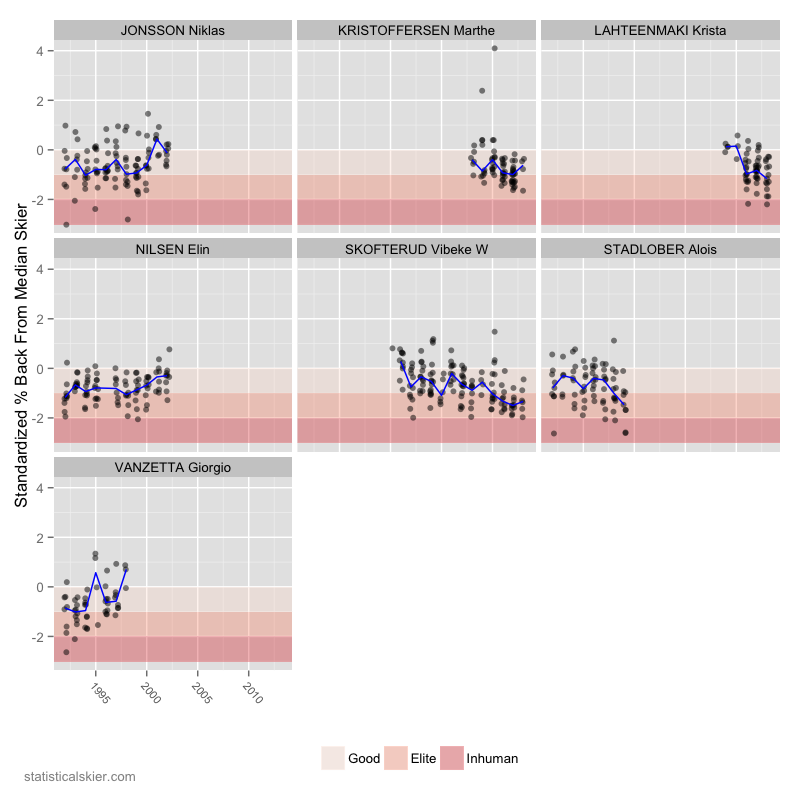 So here is another moderately curated selection of skiers who have never won an individual distance race, and yet their median result is better than 20th. Half of Skofterud’s distance races she’s placed better than 13th, but she’s never won a WC, OWG os WSC race. Posted by Joran on Thursday, March 28, 2013, at 6:00 am. Filed under Analysis, Cross Country, World Cup. Tagged Distance, men, women, World Cup. Follow any responses to this post with its comments RSS feed. You can post a comment or trackback from your blog.